warning: Creating default object from empty value in /home/kevin/public_html/modules/taxonomy/taxonomy.pages.inc on line 34. What is Gift Lizard? 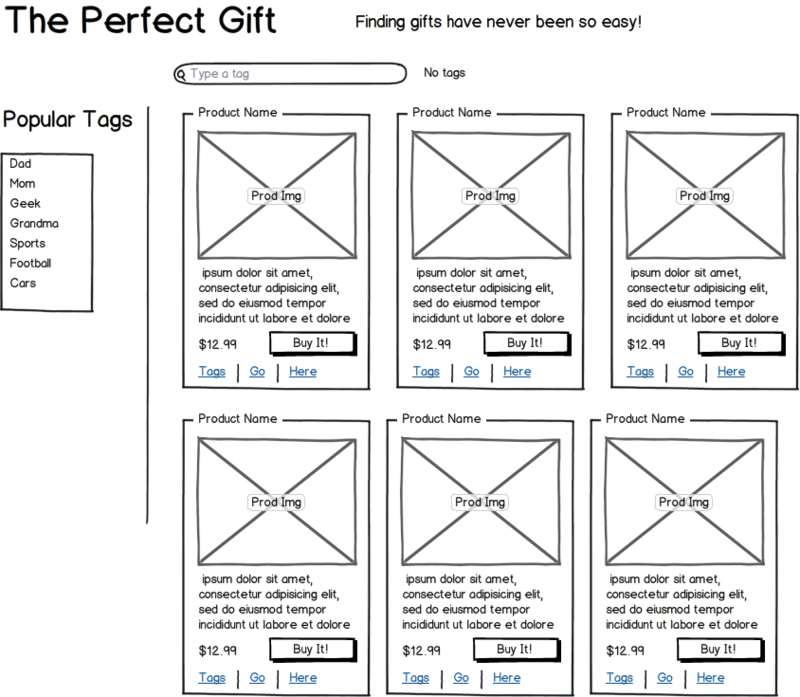 It's a gift shopping site where you describe the person you want to buy a gift for using tags. It helps you discover interesting and awesome gift ideas. Fail. I did, so can you. I created a Gift Lizard fanpage and invited my friends. I got maybe 4 likes from messaging ~600 people? My facebook status did better and got 15 likes and 12 comments, 2 shares and someone posted it back to me. Not bad, but total facebook traffic for the week: 105 visitors, almost all from the status. Fanpage is probably a more long term benefit. I know some traffic came from here, but it doesn't actually show up on my logs once. Nothing big enough to notice any substantial traffic coming from the 12 or so tweets broadcasting the site. It generated 44 clicks of 71,551 impressions on 26,877 different users. However, those users had 1 minute 54 seconds average time on site and only a 37.14% bounce rate. Better users, incredibly small volume. I also got some fantastic feedback from one particular user about some ways to improve the site that I was unfamiliar with. I launched with an MVP (minimum viable product) and there is a lot of things people didn't like (and still don't like!). The interface isn't as good as it could/should be to make it clear how the site works with tagging. There are still bugs in the way it behaves and improvements I know I should be making. But the site does function and I fixed major problems as the came along as best as I could. Other more structural problems are still there and probably won't be solved before the end of the holiday season. Those are some of the biggest failures and problems I ran into when launching. Finding a marketing strategy that works and can be replicated is hard. But I think I've found one. My original plan of finding 'good' gifts and tagging them across multiple categories was well meaning but it was/is highly subjective and hard to scale. I will still add gifts in targeted popular categories, but that's not where I will spend most of my time. I realized that niches were far more engaged in their very specific interests and more likely to interact with something targeted than a blanket message about finding gifts. To that end I tested my idea with a starcraft gifts page and posted it to starcraft subreddit. The thread received around 99 comments (about half were me responding). I engaged them in a constructive and inclusive manner adding any item they thought would make a good addition. It's also important not to be greedy, I want people to find good gifts and share it with their friends of similar interest (funnily enough some of the people's sites I linked also responded on the thread thanking me for promoting their products - and I was genuinely happy to to it!). The goal is creating a great collection of gifts for anyone who likes starcraft regardless of what site the product may be on or what type of relationship I have with that site. It was a HUGE success. The result was 10,494 visits this week to the starcraft page and I only posted it 3 days ago (so it's only 2 days worth of stats). The next day I decided let me try it for another niche and see if I can get a similar response. I created a World of Warcraft gift page and posted it to the WoW subreddit. The result was 1,143 visits to the WoW gift page. The article was more popular in terms of relative ranking (peaking at 5th versus around 12th for starcraft post) but the subreddit is a lot less active it would seem. The engagement was a lot lower, despite being only half the size, it received 10% the traffic volume. The gift collection was still relatively popular in its niche. Success! And it looks like the model is repeatable and possibly scalable. This massive influx of traffic from one social media site was nice. A secondary effect was linking and stumbles (I got no facebook likes or tweets from these it would seem). StumbleUpon generated 134 visitors though from one person stumbling the page and setting off a chain of stumbles presumably. Content was sticky enough to be shared and promoted. Success! Easier to connect with a niche audience. Don't be greedy and help others, it makes people like you. Launch it and fix it on the fly. Just because it's not perfect or even great doesn't take too much away if you have great content/value. Facebook Event in conjunction with a facebook page. I would like to try creating an event and invite everyone to it announcing the launch. Events are stickier I think because the user has to either acknowledge it to remove it or ignore it for a long time while it shows up. Of course the risk is you may only get one chance with this strategy because users may ignore event invites from you. High risk, high reward. I'd choose who I sent the event invite to carefully. Link directly on social media sites, it may seem like a less popular idea, but I posted to a few subreddits as comments to get feedback (design_critiques, startups, twoxchromosomes) and it generated very little interest or traffic. I think direct links, when possible, are a better idea if you can communicate effectively in the short title. Happy to hear thoughts, feedback, questions, ideas, your stories or anything else you wish to share! to know what you want to buy for them but can get customized suggestions for the giftee. idea stuck in my head (and being up at 6am without an alarm going off). So I quickly wrote it down on my idea pad and went back to the event. I started designing a mockup. I showed a few people and we decided to work on it as our weekend project. my vision out or I wouldn't be satisfied that I had at least tried. 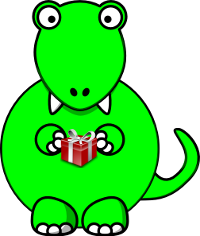 So yesterday, I launched Gift Lizard. This was the expected, default even, outcome. We're sorry to say we couldn't accept your proposal for funding. just below the threshold and that we miss even interviewing. David Cohen: That's a good name, veri being truth. Fred Wilson: four letter domains? impossible. you can't get a four letter domain. David Tisch: where did they get the money for that is the first question I asked? David Cohen: so here is the crazy thing, Lee has owned that domain for the past 6 years. Fred Wilson: There you go. They are the team of that week for that alone, that's going from the out house to the penthouse. I thought this was interesting for a couple reasons. From a startup perspective, it's interesting to see how impressed investors can be from a domain name. A strong domain truly does send a signal. From a domainer perspective, it's shocking to realize that it stuns these investors that a startup has such a good domain. They don't think they have the money and it's not sure if they believe a company should be spending that money so early either on a good domain. The term Social Media refers to the use of web-based and mobile technologies to turn communication into an interactive dialogue. Andreas Kaplan and Michael Haenlein define social media as "a group of Internet-based applications that build on the ideological and technological foundations of Web 2.0, and that allow the creation and exchange of user-generated content." Social media are media for social interaction, as a superset beyond social communication. Enabled by ubiquitously accessible and scalable communication techniques, social media substantially change the way of communication between organizations, communities, as well as individuals. WTF does that even mean? The term social media with this definition is truly focused on media - how we are communicated to and are suddenly empowered to communicate back to the powers which use the media. I published a post listing 24,000 available brandable domain names that anyone could register a couple days ago. It was far more successful than I ever imagined receiving over 17,000 page views. Ranking 3rd on HackerNews frontpage and 2nd in a major subreddit with over 30,000 subscribers. I wanted to go through the entire setup of the article, the marketing, the goals, the traffic, the results and conclusion. This is a continuation from this article. There is a lot Japanese sounding names in there which I liked but didn't take. Enjoy! Update 7:09 pm: Request for an affiliate link. So I picked my favorite consumer facing registrar NameCheap. DISCLAIMER: these domains were checked against the zone file, NOT the registry. Some names ARE TAKEN but for whatever reason did not have name servers when the zone file was downloaded. Possible causes: somewhere in the delete cycle or simply no name servers registered. This is part 1 of a series I would like to call, the end of the 'there are no more good domains left' problem. I heard it once too many times and cracked. I also was stuck on a particularly challenging problem and needed to distract myself for a while to distance myself and gain some perspective. So in the meantime, I came up with a way to generate millions (first run generated 350 million+ domain names, which is about 3.7 times the size of the .com zone file). Too many, to start with at least without ranking them somehow. Using letter frequency and assigning points based on frequency in English language. Ultimately, none of it worked well enough to filter the top, it only removed the crap. So I went smaller (down to 5 letters from 7) and used only certain pronounceable patterns and only put letters that made sense in certain positions/orders. The other problem is that, I couldn't find any objective way to identify what was or wasn't appealing as a brand name. It depends on a lot of factors such as country, language, region, business area, founders names, etc. There is no ultimate way to rank them (I tried using google search volume for a small sample... gave some very strange results). So I will present them alphabetically in the full story. Do Domainers Block Innovation in the Domain Name Space? This train of thought occurred to me while having lunch with another domainer and discussing a company that approached me about entering the domain space. I expressed my doubts about success and listed the reasons. The primary reasons were a lack of credibility and lack of their own portfolio. Domainers are a pretty small group of people and it seems you're only ever 2 degrees away from virtually anyone in the business (a mutual acquaintance). Everyone knows everyone loosely. Reputations often precede any interaction. We are a fairly xenophobic bunch, don't trust people from the outside and have this view that everyone would like to take advantage of us, given the chance. If you just look at the language used when talking about ICANN, Google/Yahoo PPC accounts, parking companies, there is this inherent mistrust that our interests aren't being looked after. I won't debate whether it's legitimate or not, but getting a positive reputation (credibility) is a difficult task in this business. The fastest route seems to be big sales or at least the claims of such. This ties into lacking credibility, having good domain names and big sales generates credibility and trust. So if you don't have anything notable in your portfolio or didn't sell something that made headlines, it's infinitely more difficult to launch any domain related innovation. Who is going to signup and test you out? Not me, not other domainers. We are generally risk averse with our domain names (think the absurdly high reserves we see at auctions time and time again). One of the biggest successes in recent years has been Rick Latona's mailing list. Who absorbed that initial risk and attracted buyers by offering good deals? He did. He sold his own domain names to attract people before anyone else would list with him. Once the sales were happening, I think he probably had more people interested than he could handle. What made it possible? He owns his own domain portfolio. If we return to our original question/problem: do domainers block innovation in the domain space? I think the answer has to be an unequivocal yes. I think we harm our own interests by being so risk averse and have created unconscious barriers to entry which prevent many people who might have entered from entering. So what? Why does that matter? The result of this system is that innovation is endogenous in the domain industry. Only domain industry players can successfully 'innovate.' Who has the credibility and funds to launch new domain innovations? A very select few that meet our basic criteria. If you've been around the domain space for a long time, you may feel like I do (yes, I am getting personal now and it's anecdotal), there isn't much going on in the space. I often wondered why, but only now have I had the time to sit down and think about it. I am still using the same tools I wrote 8 years ago and they are still really effective. Perhaps that's a testament to my awesome skills or more likely, there hasn't really been any major waves in the business in a long time. Don't you have a solution? I don't think there is a clearcut solution for this problem. It's a systemic issue. Most successful innovations in the domain space are scalable and take advantage of economies of scale. Domainers will bandwagon any success and companies are generally rewarded by this bandwagoning. Thus, whomever takes the initial risk isn't disproportionately rewarded, therefore, let someone else do it is the consensus. If we really want to see innovation flourish within the domain ecosystem was need to take more risks, try more new services and encourage outsiders to enter the space. SO next time a company approaches you, make an extra effort to help them. Also don't dismiss their chances because they don't have any credibility or their own domains to absorb the risk with. Maybe even lend them a domain or two! We are currently trying to resolve this issue. They believe we fall under the blocked list of the UN/US sanctions. them too to show them that you too are affected by this shutdown. We really are sorry that this error of judgement has occurred. It is a complete injustice to us. They shut us down without even checking to see if we fell under that category. We will release a statement shortly. We hope that this issue will be resolved soon. So the interesting question becomes, what sort of extensions really are sensible for a company to use? Can you imagine that you're violating a UN sanction for buying your domain name from a country that is attacking it's own people? This registry in particular has a history of questionable practices which have brought up the concern about what extension/registry/country you use for your domain name. Is this just another concern nobody conceived of until it happened? It seems to me, sticking with the popular gTLDs (com/net/org, hell, I will even throw in info/biz for stability) is an even safer bet these days. Is that better sounding name from a foreign country really worth it? 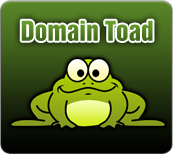 To finish this the only way I can see appropriate, a little domain humor. Beeth> Girls are like internet domain names, the ones I like are already taken.